Large green bug finally acquired! That’s one thing less to achieve before the patch comes rolling around. Now I just need to take him into a few battlegrounds and feed him Goblins. 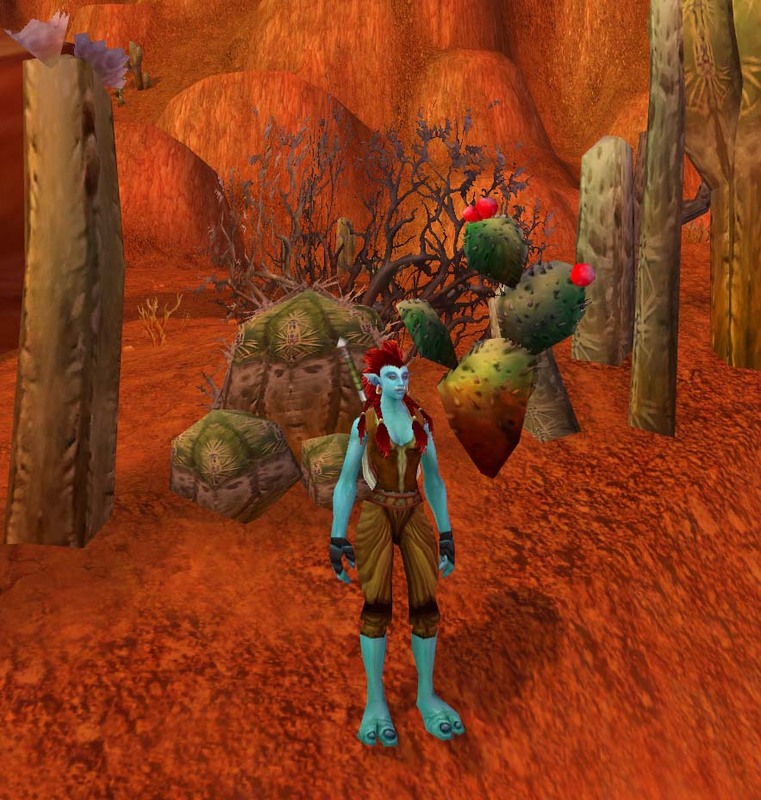 Meet Erizulie, troll hunter. She’s fond of bitter cactus cider, all sorts of animals except scorpids which are obviously some sort of demon in disguise and skinning things (particularly scorpids). I also take back every bad thing I’ve ever said about Durotar. I’d forgotten how pretty the Valley of Trials can be. So she was created with two aims in mind. Firstly joining the awesomeness that is a guild called “Single Abstract Noun” and secondly leveling to lv 40ish. Why lv 40? well because happily sitting in the shade of a certain keep is a dog called Spot. The plan is simple as all plans should be. 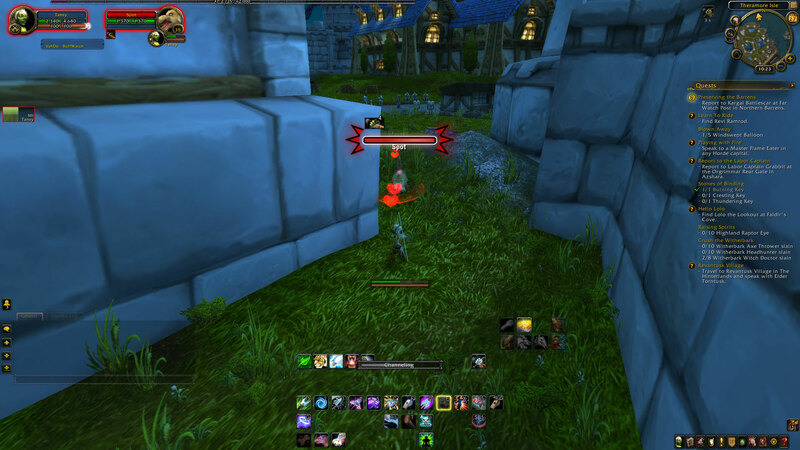 Reach a level to tame him, sneak into Theramore and steal their puppy from right out under their noses. Now the hard part is going to be finding time to put this evil plan into action. 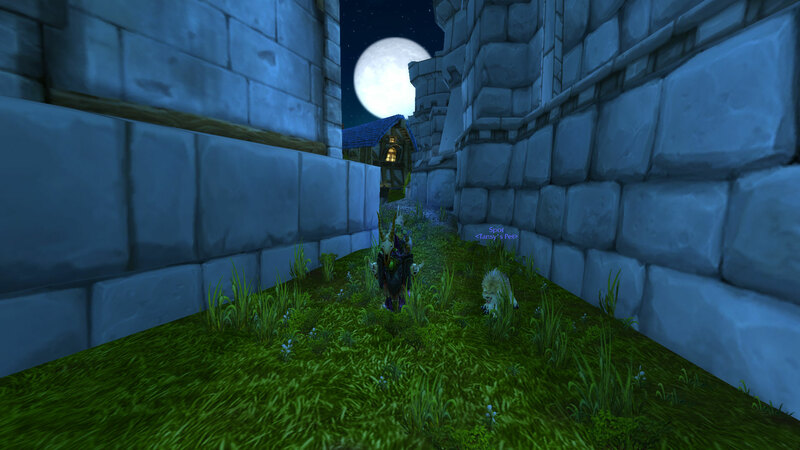 My WoW time is a bit limited at the moment and when I am playing its mainly PvPing on my main or leveling my druid. However I’ve wanted that dog for a long time. 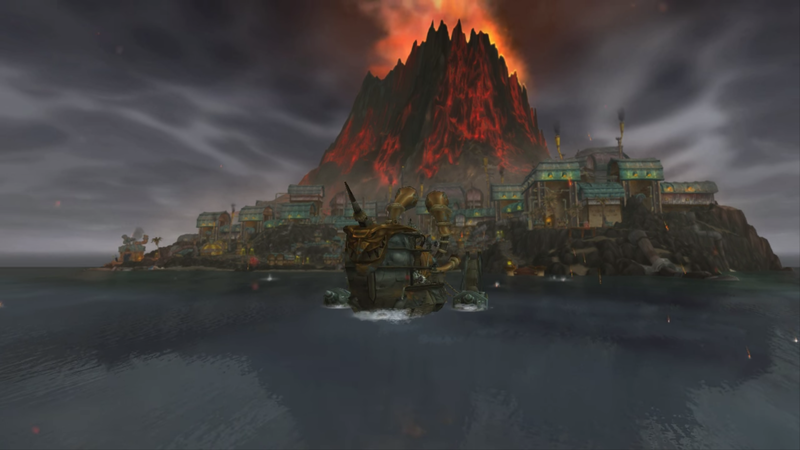 I mean its obvious they callously stole it from Mulgore in the first place so its about time some nice troll came along and liberated it. I’ve also created Tattiebogle the Undead Priest with some strange ideas about RP in mind. A Tattiebogle is both a scarecrow and one of the most amazing sounding words ever created. Operation save Spot is however the main focus of the time I (fingers crossed) will be spending on Argent Dawn. Now I’ve blogged about them, I’m going to have to find the time to level them. I hope. 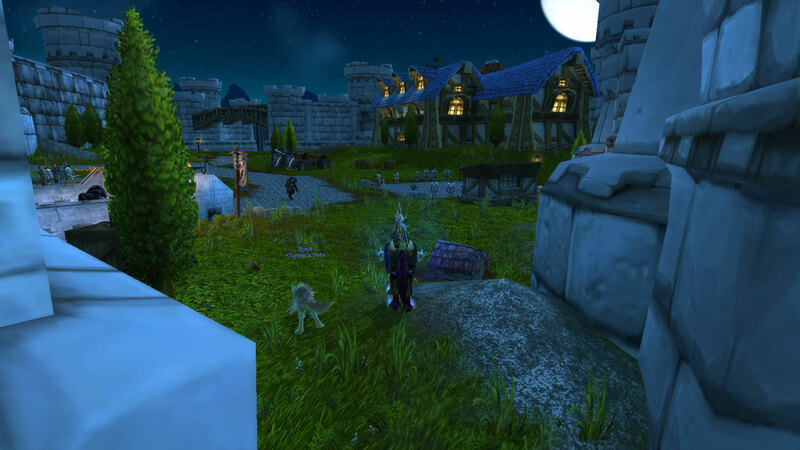 Ok I admit, my hunter hasnt got beyond lv 30 because im scared of gnomes… although gnomes are scary, its because im lazy. That said, ive been eyeing the forthcoming hunter changes with interest, especially the pet related ones (im a sucker for pets). Being able to have 5 pets up from the 3 we can currently have. 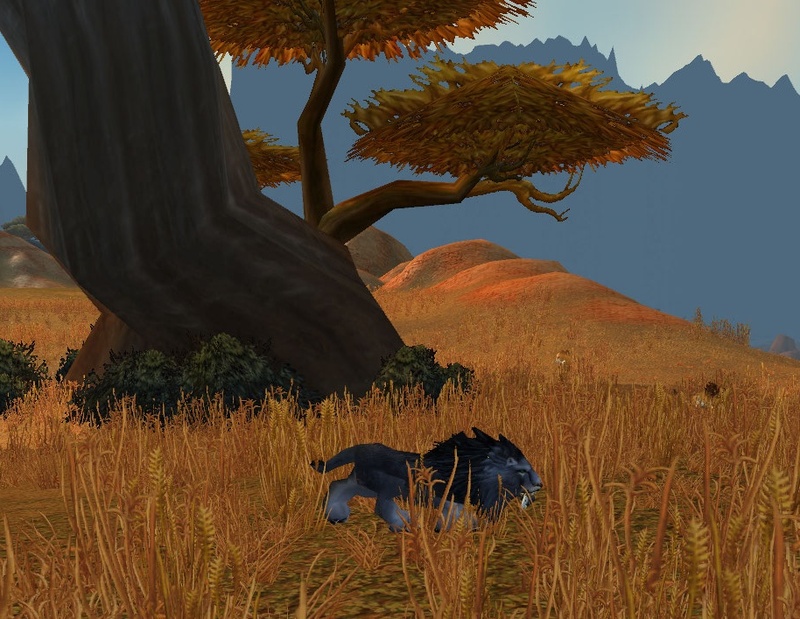 My first thought when i read about the changes was “oooh, i can finally go back to having a wolf”, after all ive always been a dog person and in Vanilla WoW my little hunter had a black worg from Shadowfang keep (one of those with a fast attack speed). 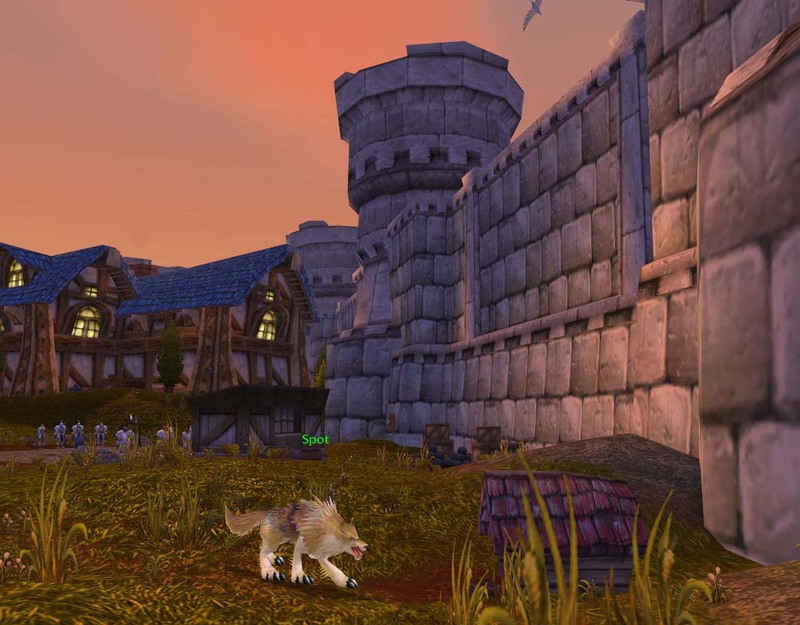 I even picked out a worg on Petopia, one of the new white ones coming in the expansion. Then i got my Beta key and discovered them in the wild. Whilst one was biting on me, i realised that i didnt actually like them.